Charlie Harper’s work is unmistakeable, so why not add a little woodland wonder to your brunch table? 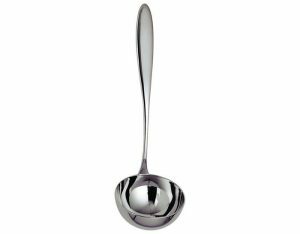 Metallic Plates with Stand, Set of 12. 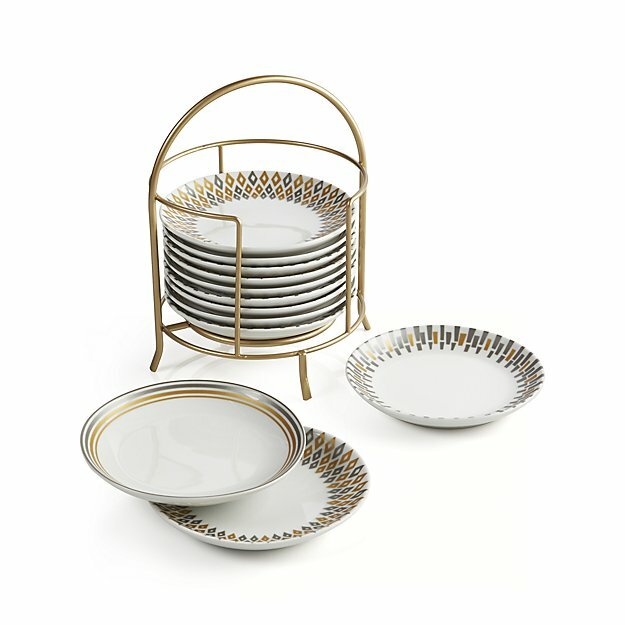 Perfect for setting on the Thanksgiving dessert table or by the appetizers at your annual New Year’s Eve cocktail party—these well-organized dishes are stylishly versatile. 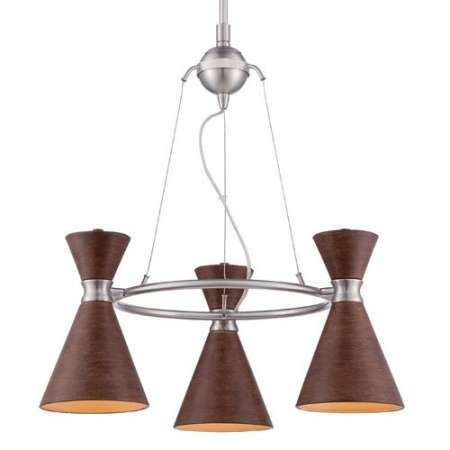 Is your dining room looking a bit dim? Brighten it up before dinner with this eye-catching solution. You’ve planned the meal, ensured you have enough plates and napkins, and set out the turkey tray—but do you have enough serving utensils? Personalized Tall Cooler Glasses, Set of 6. Looking to add an extra touch of class? 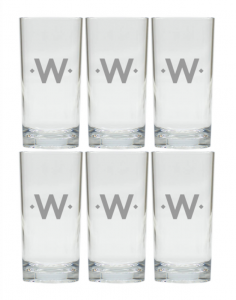 Spruce up the bar with cocktail-ready glasses donning your initial. 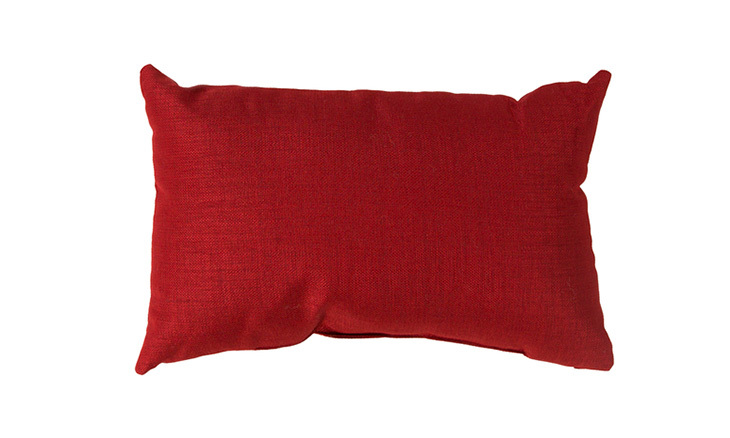 Whether Aunt Judith needs a little extra back support or your couch is lacking in holiday cheer, this crimson cutie is sure to do the trick. With cookware this cute, mulling spices become an even more enticing holiday tradition. 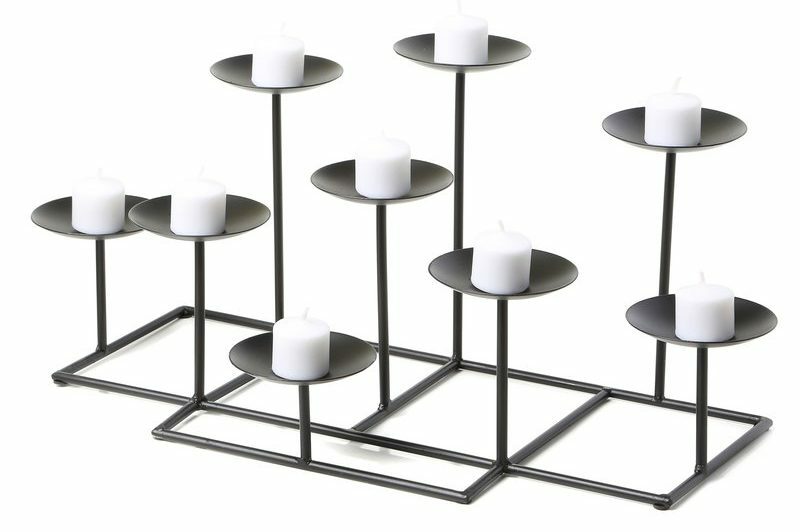 Set in in the fireplace, on the mantle or in the center of the credenza—no matter where you use it, this sleek candelabra is a modernist essential. Every host knows the fear of running out of ice. 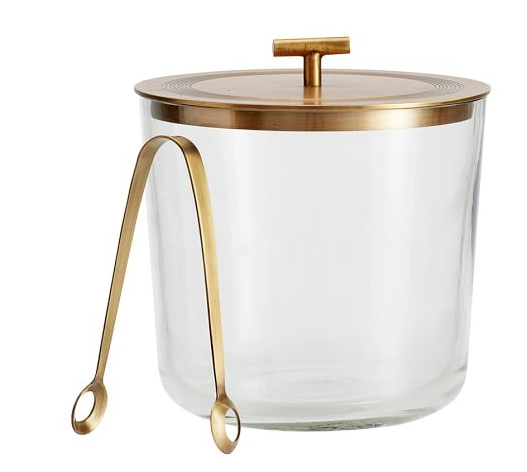 Stock up the freezer and then serve guests from this mid mod friendly bar cart essential. Shallow Soup Plate in Pink. A retro-inspired holiday table set with this beauty from Bauer Pottery would make Mamie Eisenhower proud. 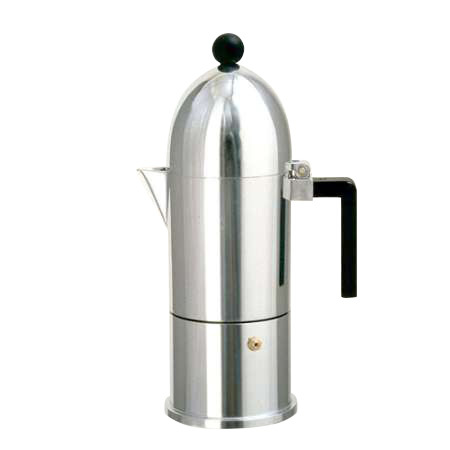 La Cupola Espresso Coffee Maker. Step up your pie and coffee game with an espresso maker that would look right at home in the Jetson’s kitchen. 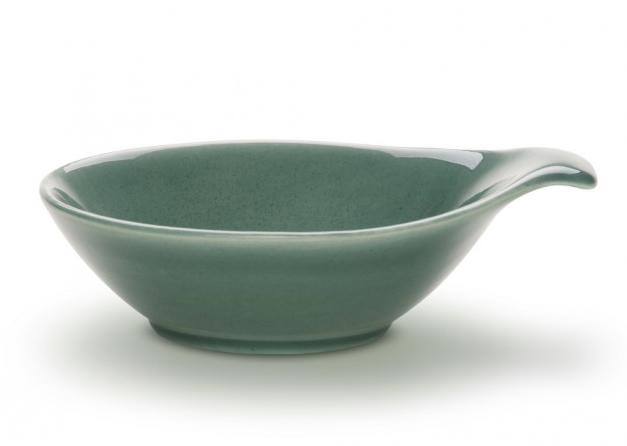 American Modern Russel Wright Lug Bowl in Sea Foam. 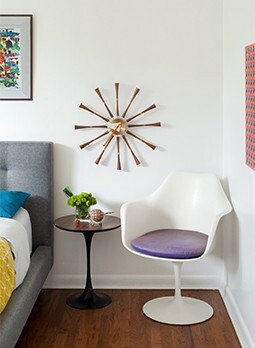 Do you love midcentury design? Are you hosting any kind of gathering over the holiday season? If you answered yes to either of these questions, this piece belongs on your shelf. 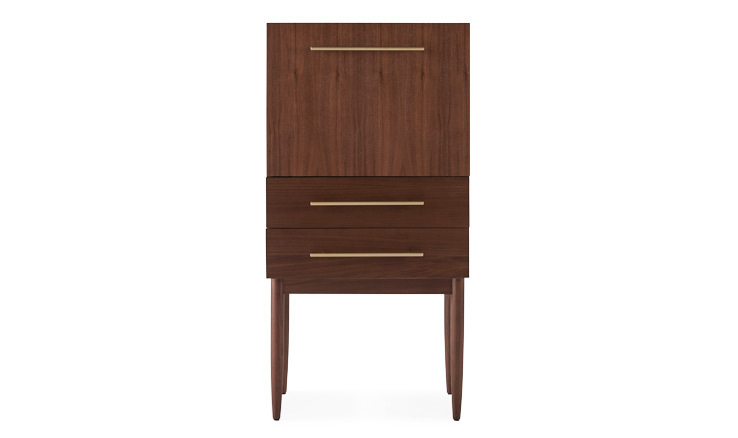 Tuck it into the living room or add it to the dining room, but you’ll definitely want to make a little space for this clean-lined and compact workhorse of a bar cabinet. 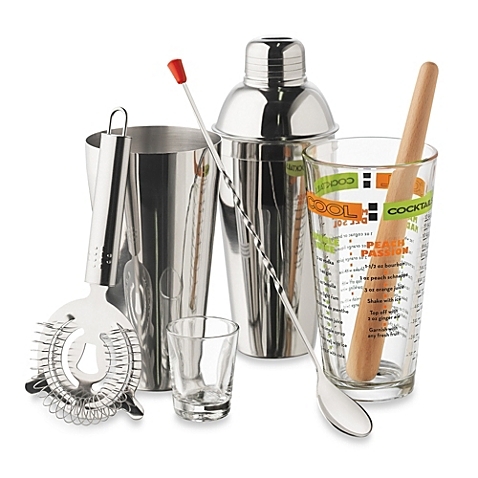 Libbey® 9-Piece Cocktails Mixologist Set. Don’t risk your amazing vintage mixologist set with your clumsy cousin coming over. Instead, opt for a sleek and mod staple that has everything you’ll need to serve up the classics all holiday season long.